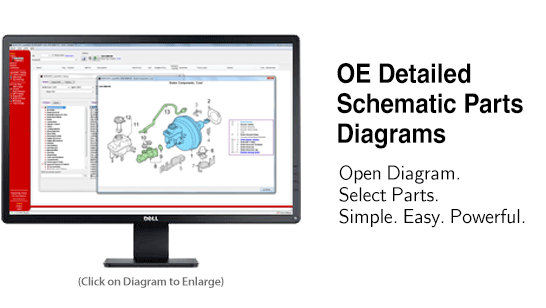 Identify the parts you need fast and easy with new OE Parts Diagrams! As an Independent Automotive Service Center, use the WORLDPAC speedDIAL Parts Diagrams to quickly and easily locate and identify the exact parts you need. Finding The Right Part at the Right Time® has never been easier! Schematic diagrams can be enlarged to any size, even an entire second monitor!